A blog about a Book? I have to set the stage for this book review. I have been on a flight where a Pax seated in my row was arrested and handcuffed inflight by an air marshal, and I have been in turbulence so bad that a service cart hit the ceiling and several Pax and an FA had to be hospitalized. All of those feelings and experiences are roughly on par with how I felt as I started Chapter 29 of “Flight for Control”, and knew what was about to happen. Be warned and be advised that there are 70 chapters in this book, and you can not put it down once you start reading it. 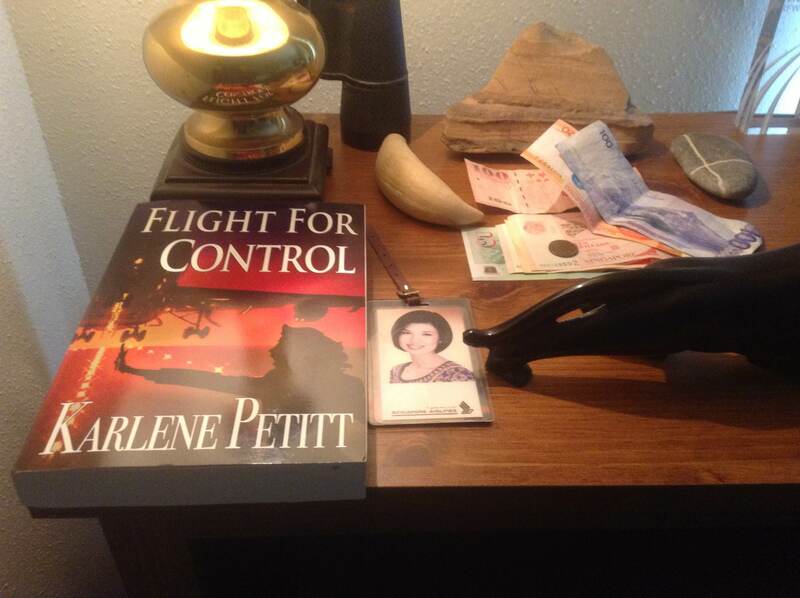 You might also like the sequel, her novel FlightForSafety about what happens (or might happen ?) if pilots become too reliant on automation and maybe start to forget how to “fly”. JR… Oh… what an exciting life you live. Don’t fly on my plane! lol. Just kidding. But your comments on Flight For Control are awesome! And… I have to admit… an exciting novel. Everyone can check out the story behind the story at this link: http://tinyurl.com/mybeajb Thank you for reading! And for everyone leaving comments on Amazon too! This entry was posted on September 16, 2013 by jlroehr in Uncategorized and tagged Airline Safety, Flight for Control, Flying, Karlene Petitt.